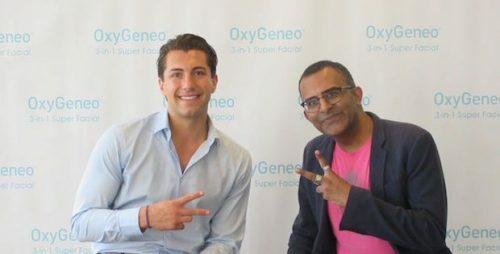 On September 14, 2018, I had the chance to catch up with Jason Tartick from The Bachelorette at Eligible Magazine’s 2018 Bachelor Party in Toronto. We talked about how he grew up in Buffalo (just over an hour’s drive from Toronto) and what he thought about being in Canada. I asked him about his relationship with Becca on the show and how I, along with the majority of Bachelor Nation, couldn’t believe that she didn’t choose him to move forward on the show. I asked Jason if he felt like it took him awhile to find himself on the show and get to a comfortable level with Becca. After a look at the past, we took a look to the future as I asked Jason why he wasn’t selected as The Bachelor and how the decision to choose Colton almost caused a riot in Bachelor Nation. Jason opened up about why he didn’t show up in Paradise to find love and finally I stop him before he decides to leave to flash the Murtz sign.